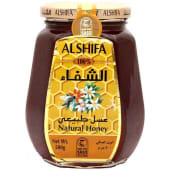 Al Shifa Natural Honey are natural honey brand that is synonymous to 100% natural honey. Al Shifa honey is the proud recipient of the quality mark by the Saudi Arabian tandards Organization (SASO).Sourced from the best locations around the world to ensure quality and taste for our customers. Al Shifa Natural Honey for over 30 years have gathered the finest honey sealed and stored uncontaminated to maintain the quality. Its great with breakfast suits well with pancakes, toasts, coffee and tea. Brimming with health benefits suitable to maintain health. 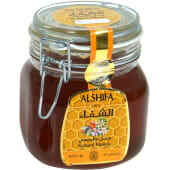 Al Shifa Natural Honey a great worth of your money .